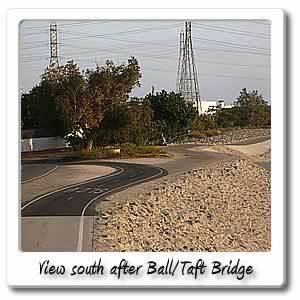 Welcome to Ball Road on the Santa Ana River bicycle trail. You are almost half way through the Santa Ana River Trail when you reach Ball Road, you have gone 14.3 miles and ridden about an hour and 12 mins on the Santa Ana River Trail. 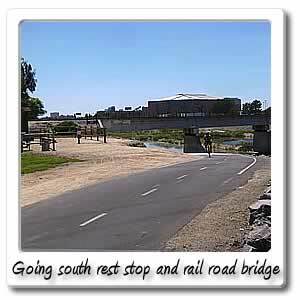 By getting off the Santa Ana River Trail, and going east will be Taft Avenue going through the City of Orange, you won't find much going east right away. It's not until after 5 minutes and .9 miles that you will come to Glassell Street where there is a 7-11 and then a Ted's Burger across from that. If you go another 1.7 miles east, and turn left on Tustin Avenue in the City of Orange, you will find The Village at Orange, 2.7 miles and 13 miles after getting off the Santa Ana River Trail. You will find a Wal-Mart, and other department stores such as JC Penny, Sears and other smaller stores. Most of the places to eat are on Tustin Avenue, just across the street from The village of Orange, such as Mc Donalds, Pizza Hut, Taco Bell, Starbucks, Golden Spoon, KFC. In N Out Burger, Chick fil A, and Del Taco are just a little farther up, and across the street from Jack in the Box. You will find more information on the Village of Orange on the Lincoln Avenue page too. 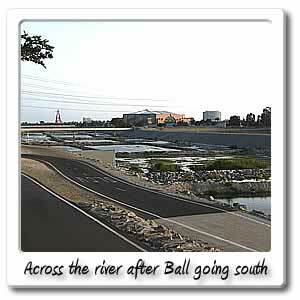 By going west on Ball Road, you will be going through the City of Anaheim. 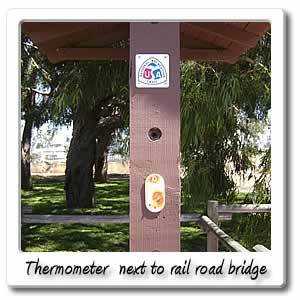 Right after you pass by the 57 freeway, .2 miles and 48 seconds, after you get off the Santa Ana River Trail, will be Phoenix Club Drive, which at the end of starts the Anaheim Coves Trail .2 traveling north on Phoenix Club Drive. There are different hours and regulations on this trail, since it's operated by the City of Anaheim Parks and Recreation and the Santa Ana River Trail is operated by Orange County Parks. 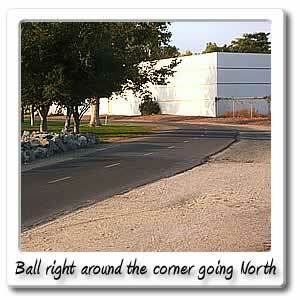 You can check out the Anaheim Coves trail page for the Ball Road/ Phoenix Drive entrance to Anaheim Coves Trail. You will have to go .7 miles and for 4 minutes off of the Santa Ana River Trail, until you get to Sunkist Street, where there is a Liquor Store, then across the street and a little farther is another mini market and then a 7-11. You will find a Hamburger place, pizza place, at State College Boulevard, 1.2 miles off of the Santa Ana River Trail after 6 minutes. Across the street, you will see a Carl's Jr. and around that area, another liquor store, with all this talk about all the liquor stores in the area, remember there is no drinking on the Santa Ana River Trail. It's best to go to the other side of the street and go into El Torito but there are also a Tummy Stuffer, Alberto's Mexican Food in that parking lot. In 8 minutes and almost mile and half you will be getting to the Lincoln Avenue entry/exit point, if going north. If going south from Ball Road on the Santa Ana River Trail is Katella Avenue, with a lot of Points of Interest and food and drink places.